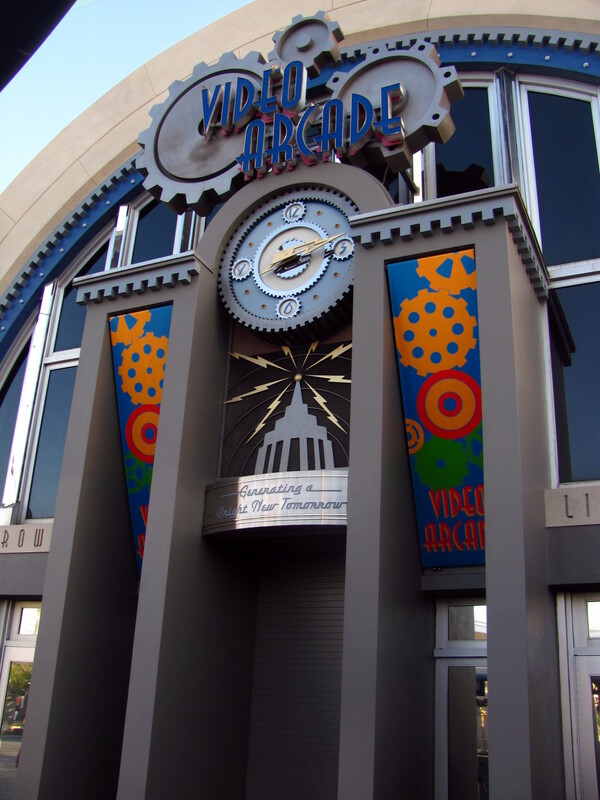 The Tomorrowland Arcade, sometimes referred to as the Space Mountain Arcade, was a video arcade that was located in the gift shop that is connected to the Space Mountain roller coaster in the Magic Kingdom at Walt Disney World Resort in Bay Lake, Florida. Currently, guests exiting the Space Mountain attraction are routed through the gift shop that was connected to the arcade. The arcade was right behind the former FastPass distribution area and to the left of the main entrance of Space Mountain. The building was marked with the words “Video Arcade” in the past. The building has been marked and still is marked as the “Tomorrowland Light & Power Co.” building. Above Tomorrowland Arcade Photo by Originally by Loren Javier on Flickr. Modified by NavFile. Photo released under a Creative Commons License. Above Space Mountain Arcade photo by Loren Javier on Flickr, modified by NavFile. Photo released under a Creative Commons License. Tomorrowland Arcade was closed by Walt Disney World on February 10th, 2015. 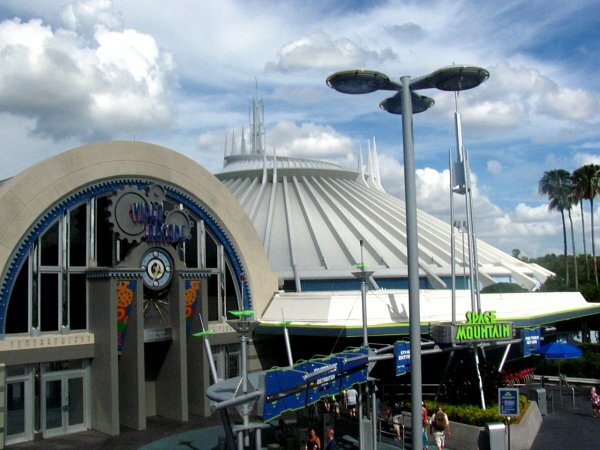 Many online sites have speculated that Disney decided to close down the Space Mountain arcade in response to gambling regulations passed by the State of Florida. The video arcade games had the familiar ticket issuing and gift redemption setup that is seen at arcades. Instead of tokens, cards were used to purchase credits to play the games. 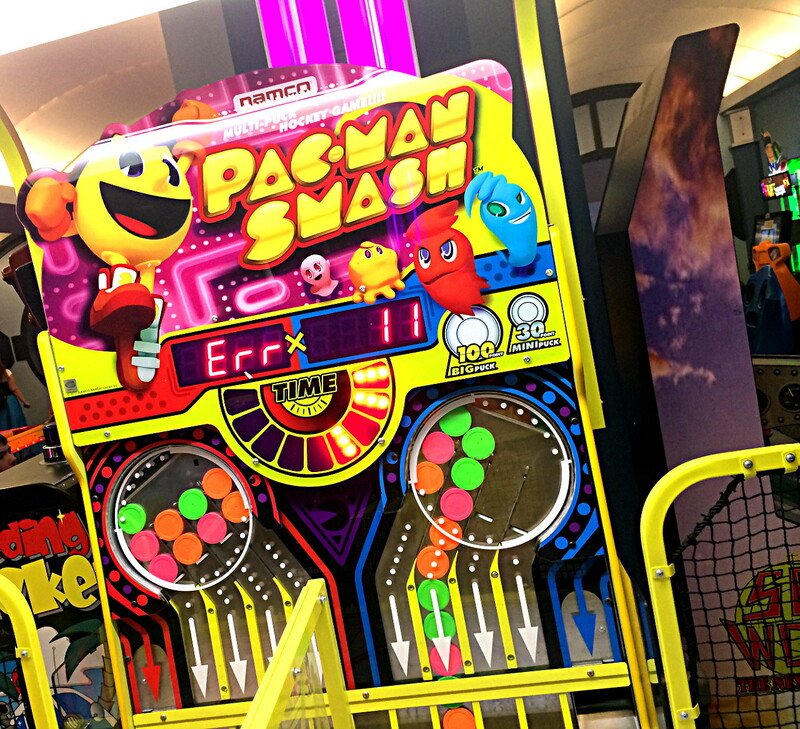 The video arcade had many different types of arcade games including, a Pac-Man Smash air hockey game, Guitar Hero, NASCAR multi player game, Cars (Pixar) driving game, Crazy Taxi, Skee Ball, basketball, and more. Most of the games were current (new) arcade games. The building that housed the arcade is still there and serves as the gift shop for Space Mountain. Above Pac-Man Smash Air Hockey Game at the Tomorrowland Arcade by Sam Howzit on Flickr. Modified by NavFile. Photo released under a Creative Commons License. Disney has been closing down many arcade style attractions at Walt Disney World. DisneyQuest, the large arcade or indoor interactive theme park is scheduled to close down on July 3rd, 2017, with the last day of operation planned for July 2nd, 2017. Our team is reviewing other options and will post them to the site at a latter date. If you enjoy arcade and video games, DisneyQuest is the perfect place to visit, before it closes. It is located in Disney Springs (formerly Downtown Disney), which is part of the Walt Disney Resort. Disney Quest has its own separate admission fee that allows you to play all of the games inside. There are 5 floors of arcade games that guests can play.